Palram Roma Hexagonal Garden Gazebo: This luxurious gazebo is a perfect place under which to relax and entertain family or friends. This gazebo will provide a focal point in your garden and can be used in the summer to enjoy a glass of wine or a meal and in the winter to enjoy your garden whilst sheltering from the inclement weather. The polycarbonate shatter resistant panels have a bronze tint and the robust aluminium frame has galvanised steel connectors and a powder coated anthracite finish. There is a decorative wind and smoke escapement feature at the top of the structure enhancing airflow and an integrated rail to enable optional curtains or netting (not supplied) to be hung using the hook kit. There is a central hanging hook at the top of the gazebo from which a fan or lighting can be installed. 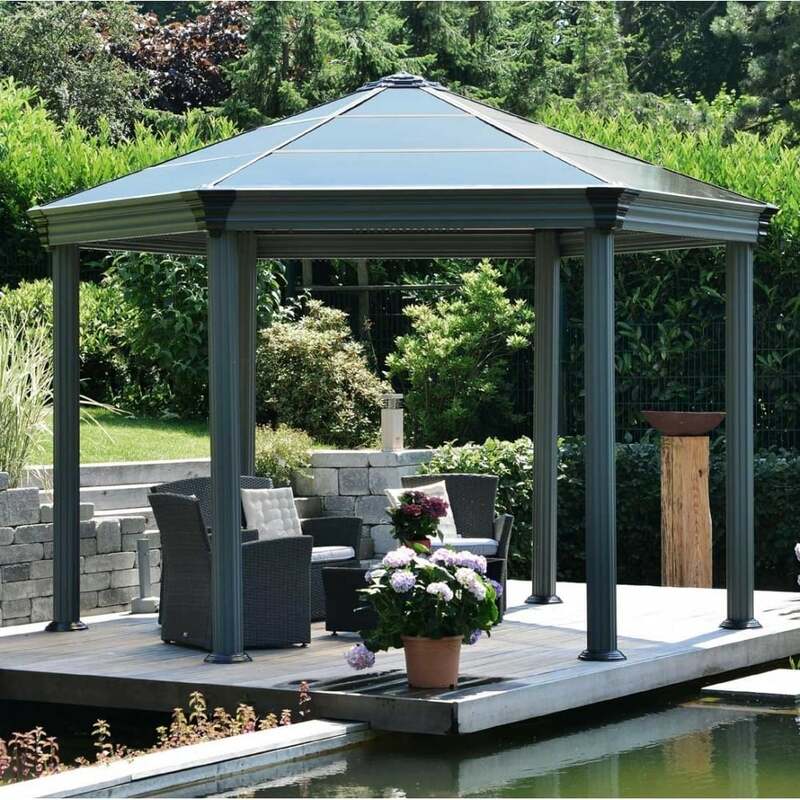 This stylish gazebo is certain to add a touch of class to your garden and includes a 10 year warranty against manufacturing defects.